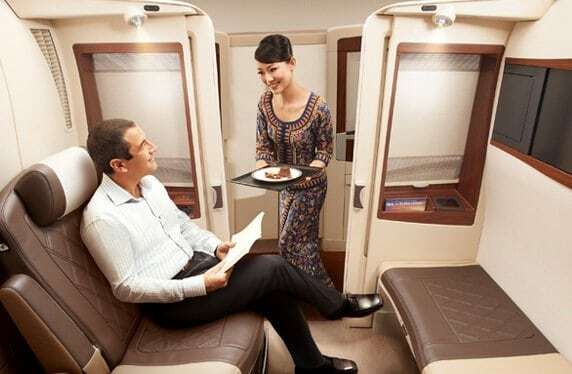 This no-nonsense German airline provides personal assistants, luxury toiletry kits, a Michelin-starred culinary menu and a five star Skytrax rating. You get preferential boarding, limousine service, and plenty of storage. 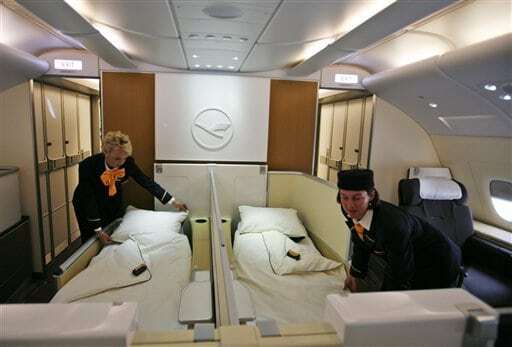 Your airline attendant will transform your seat into a six-foot-long bed with a mattress topper and temperature-regulating duvet. Your bar includes three different types of water, a fine china cheese platter, high-quality silverware and an award-winning wine selection. You’ll pay $9,500 for a one-way ticket. The smart design of the square cabin provides privacy, comfort, and your own space. The high-panel walls are made of wood tones. Watch the latest blockbusters or your favorite indie film with digital noise-canceling headphones. Chill out with Japanese rice wine (sake) or shochu (a traditional Japanese distilled spirit). Seats are 33 inches wide and the bed length is 76 inches long. The pajamas are soft and very comfortable. It’s $14,000 for a one-way ticket. What’s better than first class? Suites Class! 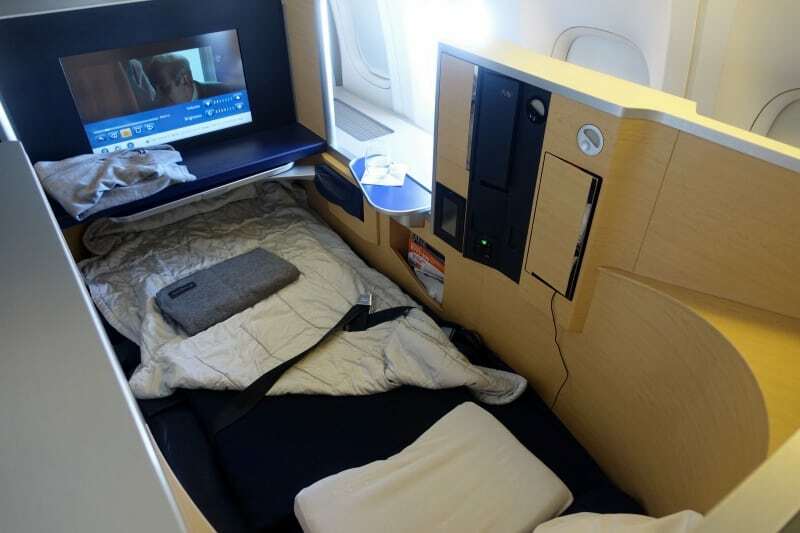 You’ll get gourmet dining, private cabins and a seat that transforms into a very cozy bed. In the lounge, you will enjoy a three-course dinner. Spacious ornate bathrooms, luxury pajamas, and high-end coffee are just a few of the decadent amenities passengers of this class receive. The suite includes a dining table and a 23 inch LCD entertainment system. The wine list is superb. The cost: $18,400 round trip. This is your three-room “penthouse in the sky” with 125 sq ft at your disposal. You will have your own butler who will provide you with everything you need. The Chef will make anything you want to eat. The cabin has its own bathroom with luxury amenities and a shower. Sleep in a double bed on Egyptian cotton sheets. Eat breakfast in bed and watch a 32-inch flat screen TV. 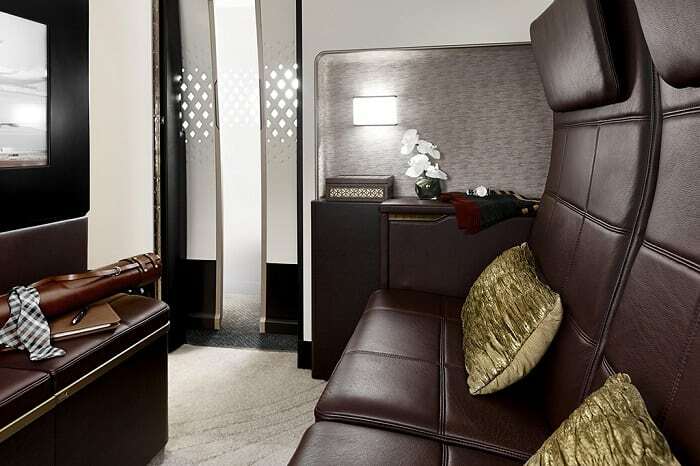 This is the most expensive flight in the world at $64,000.